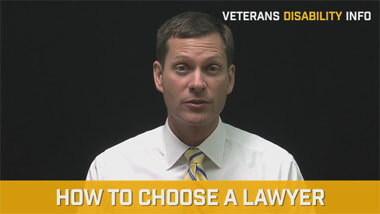 As a veterans disability attorney I’ve seen the same scenario more times than I can count. A veteran files a claim for PTSD after retiring from a 30-year career with the same company. If he is fortunate enough to obtain service-connection for PTSD, the VA will typically award a rating that is not consistent with his true level of PTSD disability impairment. The VA is notorious for under-rating veterans for psychiatric disabilities. This causes veterans with PTSD who are unable to work to receive less than the maximum rating. There’s a reason why VA would rate a veteran too low for PTSD in these circumstances. To the skeptics at VA, it appears as if the veteran has minimal problems. After all, they reason, if he was really that messed up he would not have had such a successful career. The other concern pertaining to the rating is that VA may reason that since he’s retired, he would not be working anyway. So, this means he’s really not unemployable due to the PTSD. But a recent study published by VA contains clues that explain why veterans are having increased difficulties with PTSD as they age. The increase in PTSD symptoms is particularly relevant to the aging Vietnam, Korea, and WWII veterans. The article explained a number of reasons why PTSD symptoms can increase with age. It mentions stressors such as retirement, increased health problems, decreased sensory abilities, reduced income, decreased social support, and cognitive impairment as being factors facing older veterans with PTSD. 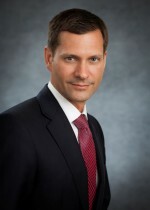 In addition, the researchers observed that in early to mid-life, veterans may cope with PTSD by engaging in what they termed as “avoidance-based coping strategies.” In other words, veterans may occupy themselves with work or use alcohol and drugs as a means of avoiding PTSD symptoms and coping with the mental trauma. However, often when a veteran retires from work, they may not have activities to keep them mentally occupied. The result is that the veteran has nothing else going on in his life to distract him from the increasing PTSD symptoms such as depression, panic attacks, suicidal thoughts, nightmares, and flashbacks. For some, the use of alcohol or drugs, which had been used to mask the PTSD symptoms, cause other problems that force a veteran to give them up. When this happens, he is faced with the reality of his severe PTSD symptoms such as an increase in the flashbacks and nightmares or hypervigilance. Indeed, in my practice as a veterans disability attorney representing veterans worldwide, I have seen many examples of these situations. 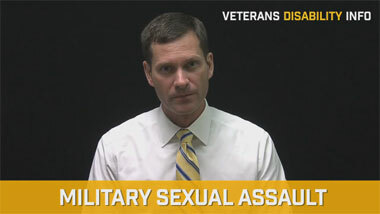 I can think of one veteran that I represented in a VA appeal for military sexual trauma. He had completed a successful career and upon retirement, experienced an increase in his PTSD symptoms. He told me that at least when he was working he had something to occupy his mind. But once he retired and didn’t have a job to keep his mind occupied, his PTSD symptoms became severe. His relationship with his wife deteriorated, he developed problems sleeping, and had more frequent intrusive thoughts. I have also had cases where VA C&P examiners incorrectly determines that a veteran doesn’t qualify for a PTSD diagnosis because they don’t realize that ongoing alcohol use had masked the PTSD symptoms and prevented an accurate diagnosis. The other problem that makes PTSD worse for older veterans is the prevalence of co-existing medical issues. The researchers observed that PTSD was associated with a higher prevalence of other health problems such as cardiovascular disease, diabetes, obesity, and sleep apnea. These health problems, in turn, could make the PTSD worse. Another concern is cognitive impairment. The study noted that veterans with dementia experience more severe PTSD symptoms. But on the other hand, PTSD can be a risk factor for dementia. Either way, dementia is a reality for many older veterans. This further explains the increasing magnitude of PTSD symptoms with older veterans. Although VA publishes this data and makes it available on its website, many of its rating decisions fail to appreciate these dynamics. As a veterans disability lawyer, I have seen the vast interplay between PTSD symptoms and a myriad of factors that affect a veteran’s occupational and social functioning. The VA cannot ignore the increasing body of evidence showing the deleterious effect of aging on PTSD. 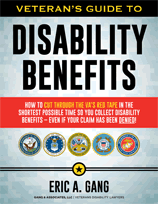 But it is time such knowledge translates into favorable decisions for veterans with VA appeals.